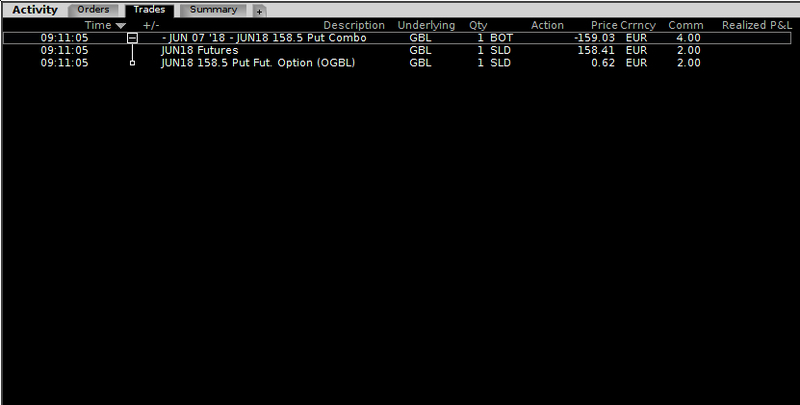 Just sold 1 Euro Bund (GBL) Jun 2018 Future and 1 Euro Bund Jun 2018 158.50 Put Option with a single Combo Trade. I don’t care if Euro Bund goes higher. In the long run I will make a lot of money due to the Time Decay.